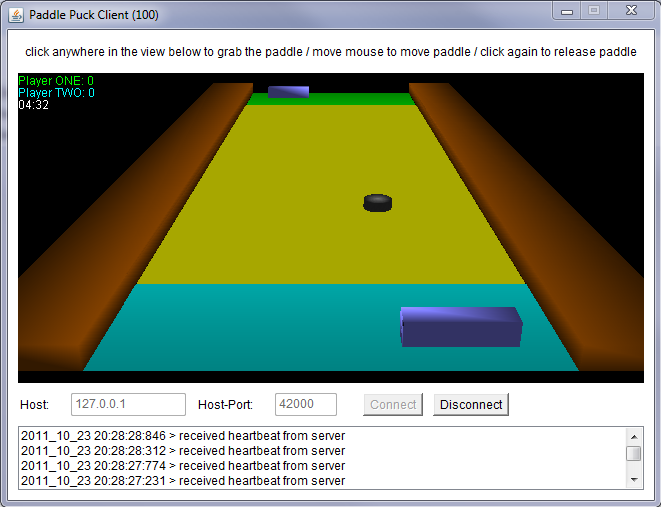 Paddle Puck is a fast paced two player network game prototype. It is inspired by a classic Amiga game called Shufflepuck Café. Being written in Java, this prototype runs on any major system supporting the Java Virtual Machine (e.g. Windows, MacOS, Linux).